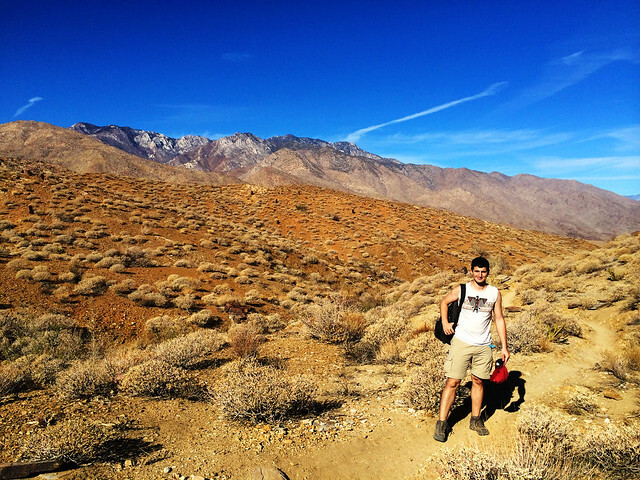 One of the many reasons we love California is that it’s perfect for hiking all year. Every season has some specialties to offer though and there’s some extremes which is good to know about. 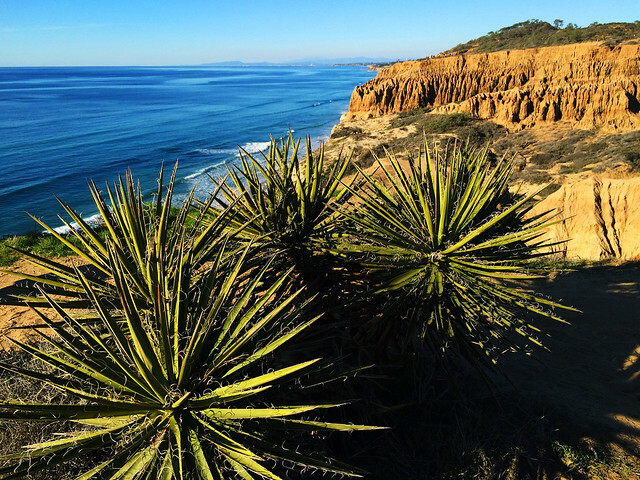 We’ve started this series to show you our favorite California hikes for all the seasons. Let’s start with autumn, so you can make use of it immediately! It’s hard to say anything in general about California’s weather because there are high mountains as well as deserts or ocean coast in this big state. Actually, that’s why we could find perfect hiking places in each season because there’s so much variety. If I really have to say something in general I’d say it’s usually sunny and warm (or hot), it rarely rains and only in the winter. No wonder that Californians love beings outdoors. A lot of places which are too hot during late spring or summer become pleasant by autumn – typically southern and continental parts of California and the deserts. It’s funny but the contrary is equally true: places which are too windy and foggy during the summer become pleasant by autumn – typically coastal hikes. 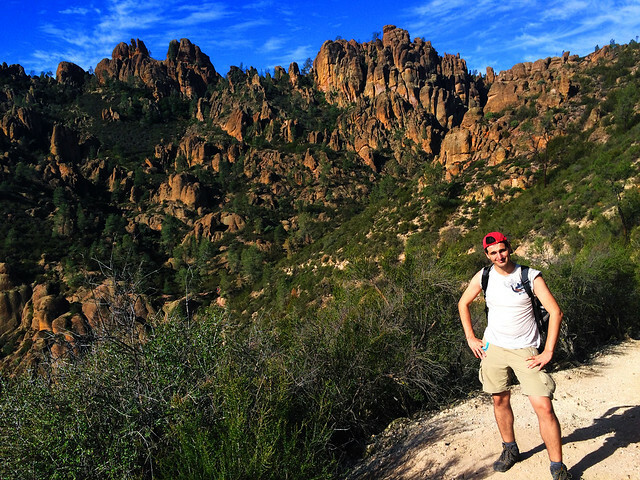 Pinnacles is the newest national park in the US and it’s a real gem hidden in California’s continental area. We found its amazing rock formations unique in the whole US! Actually, probably this park is more well-known among rock climbers than hikers, because the rock formations are paradise for them – and they were paradise for our eyes, especially while hiking Condor Gulch and High Peaks Trails. We loved hiking the trails leading through caves – just make sure you have flashlight. It’s not hard to get through the caves and it’s a lot of fun! 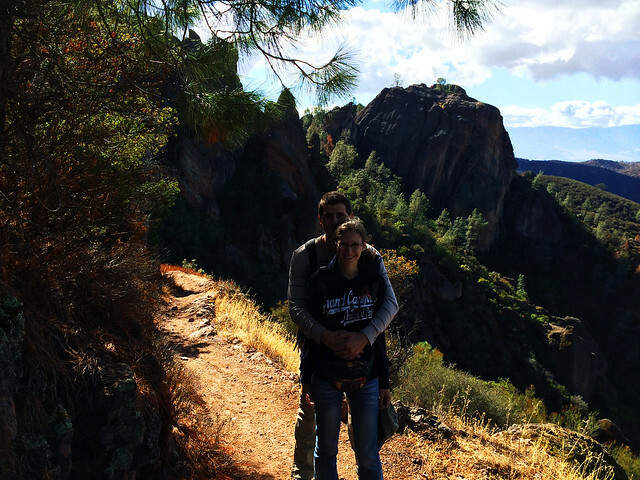 Read more about our hikes in Pinnacles National Park here! I would have never thought that I would enjoy hiking in a desert. Neither that I would water my hat during a hike in late November – I’m very inexperienced, I know. 🙂 Both happened and a lot more in the Indian Canyons near Palm Springs in Southern California. We already have a post about these amazing hikes in the palm canyons that you can read for further details. Late autumn and winter are definitely the best seasons to go. Oh, and we enjoyed very much that we could feel like it’s peak of the summer in November. We love Torrey Pines! 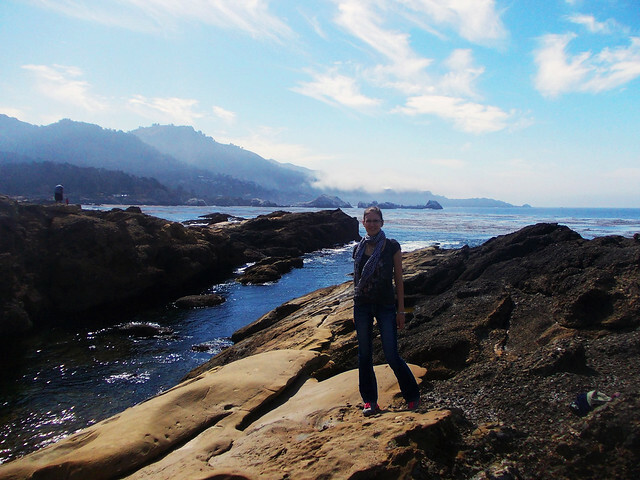 We’ve hiked a lot along the California coastline and we’ve seen such awesome places. 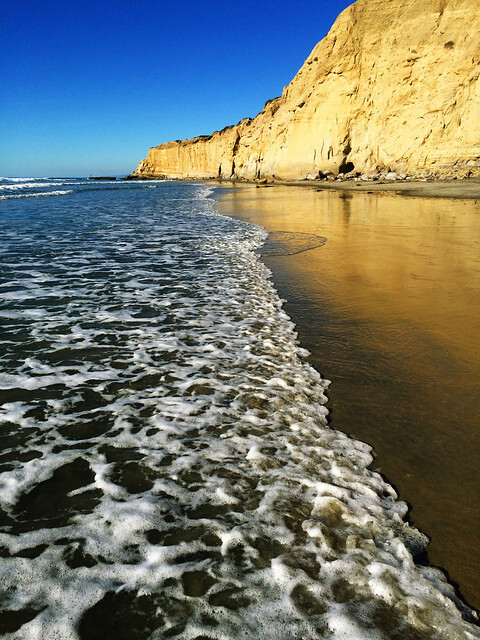 Torrey Pines is one of our favorites with its deep ravines, high broken cliffs and the beautiful Torrey Pines Beach. Though it’s one of those places which are perfect to visit all year, probably hiking is the most pleasant in autumn or winter since it’s located in Southern California. Most of the hikes are short, but we could easily spend a day visiting several trails and chilling out on the beach. And what is special in autumn? October is the start of the grey whales migration from the Arctic feeding grounds to Baja California, Mexico. At Monterey Bay they really come close to the shore so you have good chances to spot grey whales even from the shore – we did and not only once during our coastal hikes. 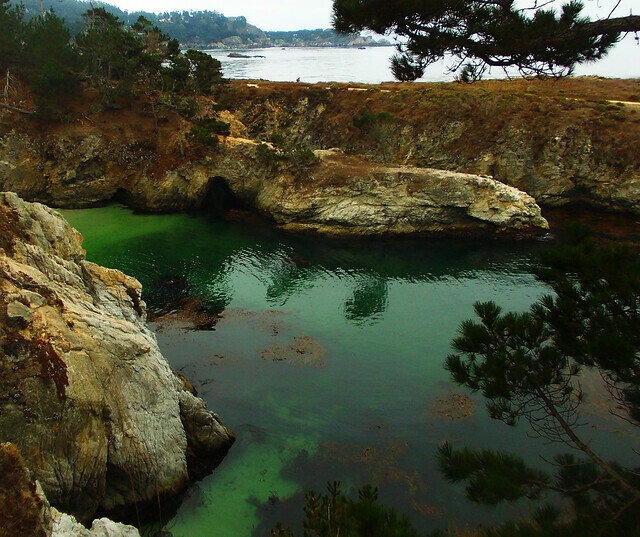 I don’t remember the name for any trail in Point Lobos but these are short trails following the shoreline, they sometimes lead to hidden coves. I don’t think it’s possible not to find your way in this small park – and you get a map at the entrance anyway. Even though it’s small we could spend a day there not even noticing the time passing by while observing seals, sea otters and whales. Binoculars is an incredibly useful thing you can have here! Autumn is also a great time to start your hikes in the San Francisco Bay Area that looks and feels like a desert from late spring until autumn. 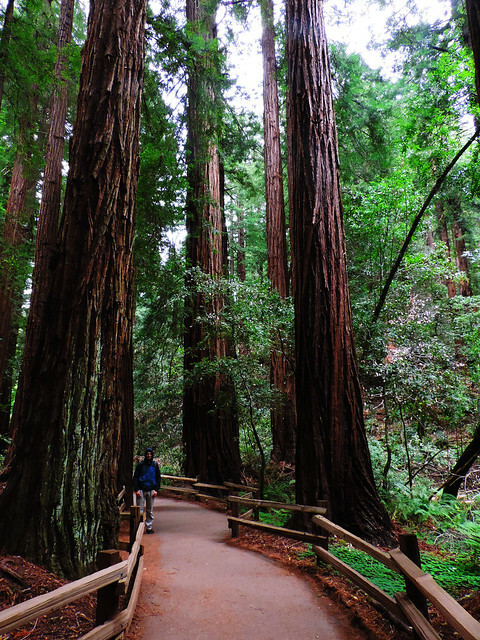 Muir Woods is just north of San Francisco and is one of the most popular places to see the tallest trees on Earth: redwoods. 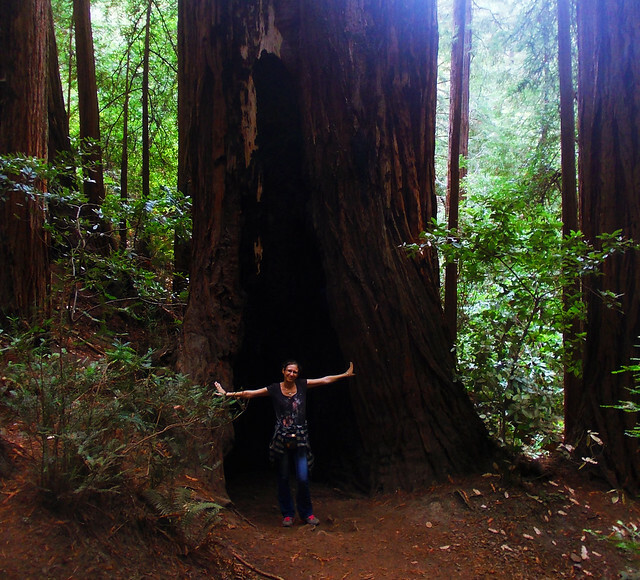 It’s definitely the most easily accessible redwood forest. The short Redwood Creek Trail is fully accessible and if you are up to a longer hike you can follow the trails leading to Mount Tamalpais State Park. Just be prepared to arrive early to Muir Woods or use their park & ride shuttle because it’s popular and parking is limited. California Highway 1 is a very famous scenic drive – and for a good reason! It has breathtaking ocean vistas and if you are lucky you can even see dolphins and whales jumping out of the water or seals lying on the shore. 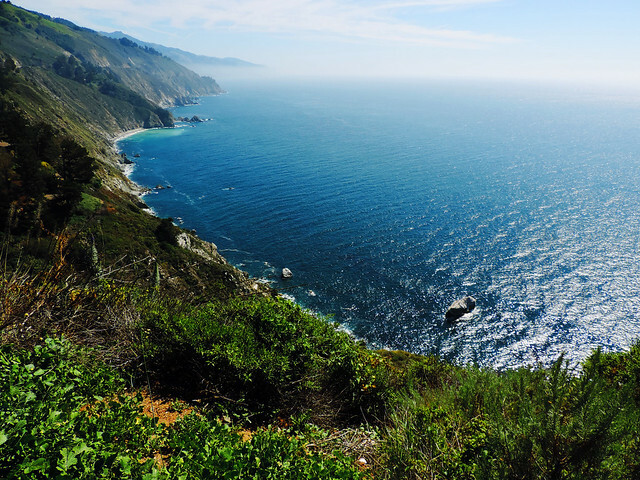 Big Sur is a section of Highway 1 – the most beautiful section in our opinion. And not only you can stop at the pullouts to admire the panoramas but there are also a lot of hiking opportunities along the coastline and in the mountains. 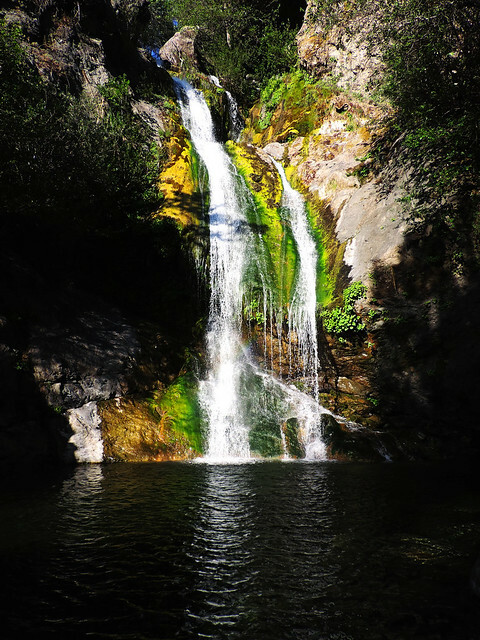 We’ve done a lot of short, very scenic trails in this area: picturesque bays, redwoods, small creeks and waterfalls, huge cliffs… It’s a place to return every time you want to recharge in nature’s beauty. There’s often dense fog along Big Sur’s coastline in the morning (especially in summer) but if you are lucky it will be gone by noon. 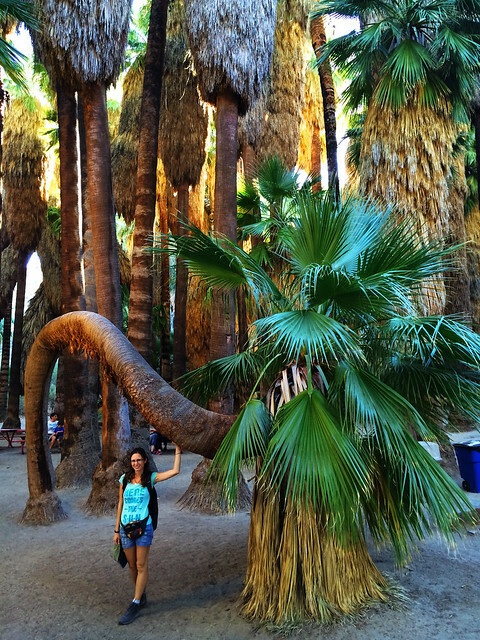 Located in Southern California this desert and mountain park is another place to visit for hiking from late October until early spring. 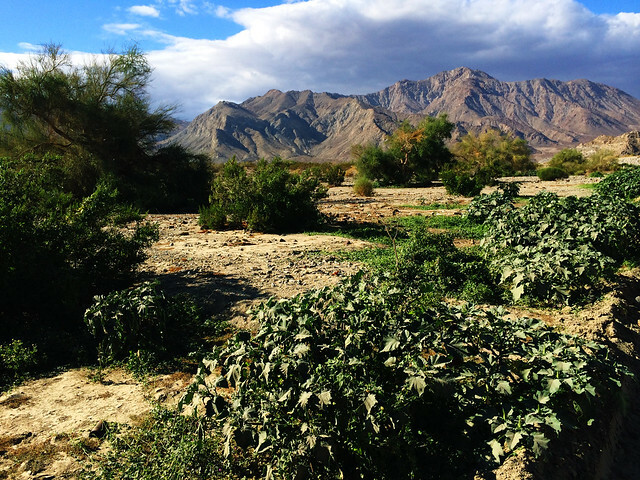 We haven’t hiked too much in this park but the loveliest hike we found here was a short trail to Lake Cahuilla that is a great spot to hang around all day long. 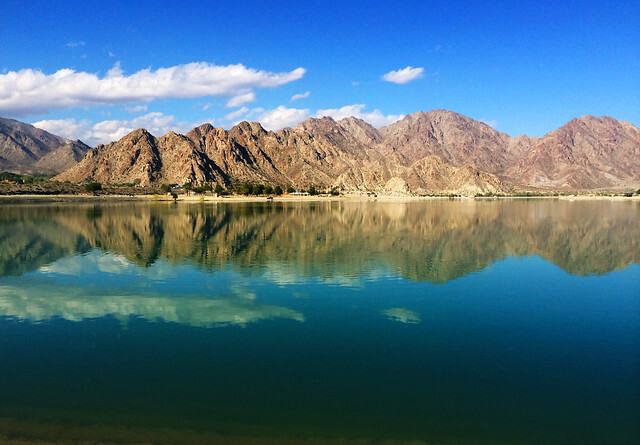 By the way, the lake is also accessible by car directly but it’s just more fun to take the short trail through the desert. Now this was what we’ve found. 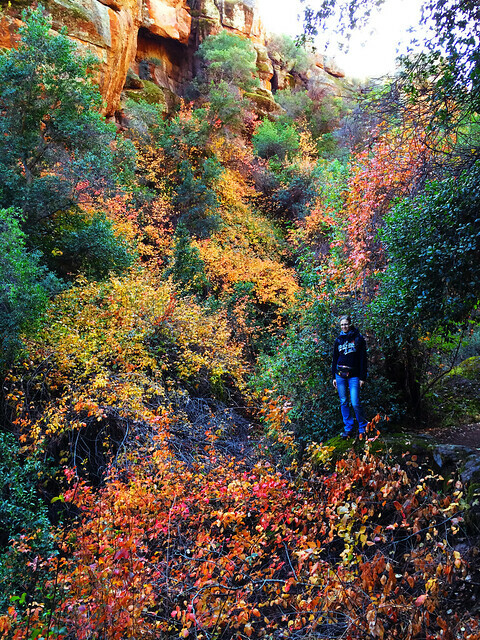 Do you have a favorite autumn hike? We’ve started this series to show you our favorite California hikes for all the seasons. You can get ideas for the best early spring, late spring, summer and winter hikes, too. Next post Why Should You Visit Seattle?